If you are not too impressed with what you have seen from Resident Evil 6 so far, allow us to show you some brand new gameplay from upcoming Wii U exclusive, ZombieU. It’s a unique take on the zombie horror survival type of game and it is easily one of the best Wii U games we have seen so far. Watch the video! This is game looks amazing! The realism is uncanny a straight story like game play that is never reproduced even if you die. Each life you live is unique but if you die you restart the whole game as someone else. It doesn’t get much realer than that. 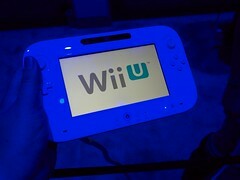 I don’t think it’s time to get the WiiU but it’s definitely something to think about when the next gen game consoles come out. PS4 is going to my first purchase then maybe a WiiU for great games like this. There something we say in digital content marketing world which is “Content is King” simply put the console with the best unique games is going to win hands down. If you can spend hrs playing something it really doesn’t matter how great the graphics are they are a tertiary benefit at most but is not the core driving factor in making the purchase. This entry was posted in Industry News, Technology Devices, Video Games and tagged Games, Nintendo, Survival horror, Ubisoft, Video game, Wii, Wii U. Bookmark the permalink.